Many applications track and map governmental data, but few help their users identify the relevant local public officials. Too often local problems are divorced from the government institutions designed to help. Today, we're launching new functionality in the Google Civic Information API that lets developers connect constituents to their federal, state, county and municipal elected officials—right down to the city council district. The Civic Information API has already helped developers create apps for US elections that incorporate polling place and ballot information, from helping those affected by Superstorm Sandy find updated polling locations over SMS to learning more about local races through social networks. We want to support these developers in their work beyond elections, including everyday civic engagement. In addition to elected representatives, the API also returns your political jurisdictions using Open Civic Data Identifiers. We worked with the Sunlight Foundation and other civic technology groups to create this new open standard to make it easier for developers to combine the Civic Information API with their datasets. For example, once you look up districts and representatives in the Civic Information API, you can match the districts up to historical election results published by Open Elections. 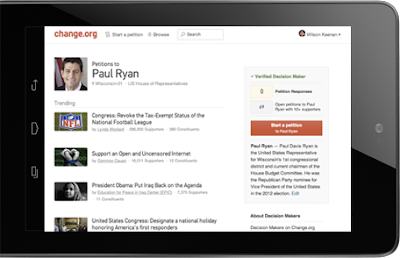 Change.org has implemented a new Decision Makers feature which allows users to direct a petition to their elected representative and lists that petition publicly on the representative's profile page. As a result, the leader has better insight into the issues being discussed in their district, and a new channel to respond to constituents. 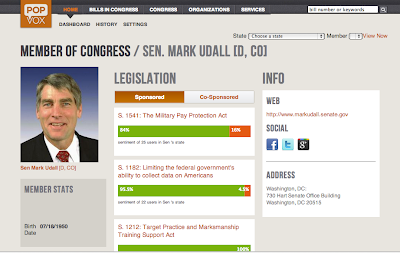 PopVox helps users share their opinions on bills with their Congressional Representatives in a meaningful format. PopVox uses the API to connect the user to the correct Congressional District. Because PopVox verifies that users are real constituents, the opinions shared with elected officials have more impact on the political process. Over time, we will expand beyond US elected representatives and elections to other data types and places. We can’t grow without your help. As you use the API, please visit our Developer Forum to share your experiences and tell us how we can help you build the next generation of civic apps and services. This release is an investment in making the world’s civic data universally accessible and useful. We’ll continue to work with civic developers who are tackling real-world challenges. Together, we can build new tools to improve civic life for everyone. Jonathan Klabunde Tomer is a software engineer in Google's Washington, DC office. He enjoys bicycling, good food, good wine, and open data. We hope this year’s participants will enjoy learning about open source development while building their technical skills and making an impact on these organizations. Please review our program site for contest rules, frequently asked questions and to get started! Yesterday, we announced that we are expanding our offline disk import service to better serve users globally. With new disk upload centers in Switzerland, Japan and India, as well as our US center, it’s easier for people around the world to import large data sets by mailing hard drives to us rather than sending hundreds of terabytes over their slow, expensive or unreliable Internet connection. But importing large amounts of data at scale isn’t simple. Our engineers have been working on the challenge for years. Originally, offline disk import was handled at our data centers as a way to efficiently import large amounts of data from the hard drives in our Street View cars - vehicles that capture terabytes of photographs and information about the landscape as they build a navigable, visual database of the world. 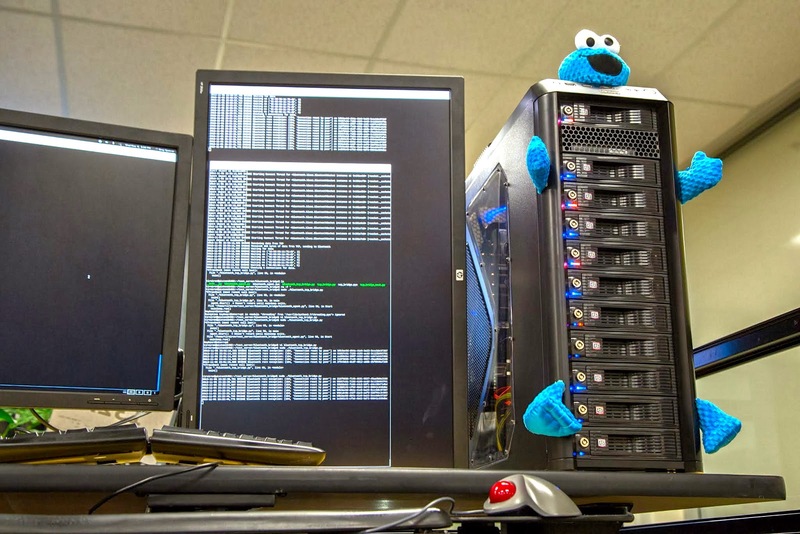 But rapidly ingesting and processing large data sets and making them usefully available is a bit more complex than gobbling down a cookie. As we’ve improved our ability to quickly import these drives, we dramatically reduced the time between capturing these images and making them available to users around the world. Now, we are helping people across the world take advantage of the speed, scale and global availability of Google Cloud Storage as well as this rapid disk-upload technology. Even though it might sound like something out of Sesame Street, this is another example of how Google Cloud Platform is making the advantages of Google-sized scalable infrastructure available to you. All you need to do is send us your EncFS encrypted hard drives, and we will let you know once your encrypted bytes are imported to your designated GCS bucket. Once uploaded, we can mail your drives back to you, or if you prefer, safely and securely handle disk destruction free of charge. Check out our website for how you can be part of the Limited Preview of International Offline Disk Import. (Oh, and for those of you who want to use Google Cloud Storage but don’t need offline disk import, you always have quick access Google Cloud Storage from the command line using gsutil). Benjamin Bechtolsheim is a Product Marketing Manager for Google Cloud Platform. When not getting developers to code on Cloud Platform, he's probably riding his bike, trying to keep his container garden alive, or playing guitar, piano or the shaky egg. Lars Bak is a veteran virtual machinist, leaving marks on several software systems: Beta, Self, Strongtalk, HotSpot, CLDC HI, OOVM Smalltalk, and V8. 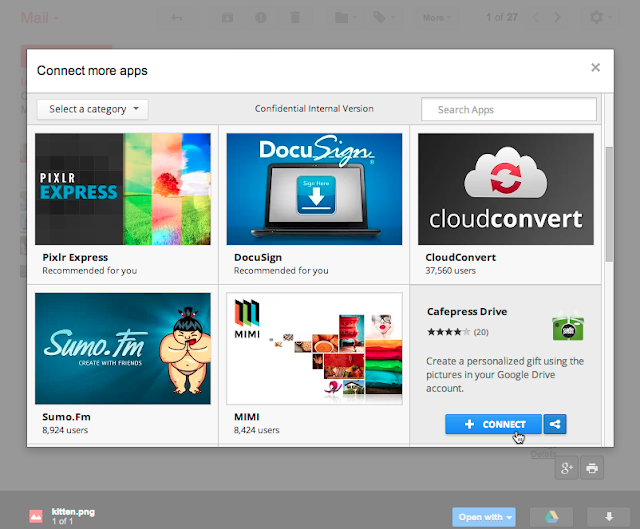 The Google Drive SDK lets you build apps that deeply integrate with Google Drive and today that integration is getting even better: users can now easily discover, connect, and use your Drive-enabled app right within Gmail. 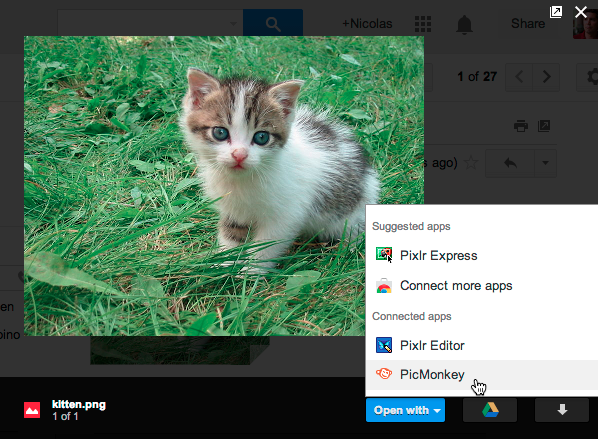 When viewing attachments in Gmail, users will be able to open files with a connected app, just like they can in Google Drive. And for certain file types, they’ll also see suggestions for relevant Drive apps that let them to do more than just view their email attachments. If users don’t see the app they want, the “Connect more apps” option makes it easy for them to discover and connect with any compatible app, all without ever leaving their inbox. If your Google Drive-enabled app is already listed in the Chrome Web Store's Drive collection, you don't have to do a thing. Existing users of your app will see it appear as one of their connected apps in Gmail, and new users will be able to search for it in the store. If your web app isn’t yet Drive-enabled, check out our getting started guide to ensure your app is ready for use by any Gmail and Drive user! Each Monday I spend a few minutes reviewing what happened last week on Google Developers Live. Please take a look. When you’re a kid in school, there’s nothing like a field trip to get you out into the world to learn something new. Now, thanks to the web, there is something like a field trip: Connected Classrooms on Google+. This new program lets kids from everywhere make virtual trips to museums, zoos, factories, and other cool places. Connected Classrooms features great tour guide partners like Seattle Aquarium, Earthecho Expeditions, and SLAC National Accelerator Laboratory, and we expect the list to grow. If you’re a teacher and you want to find out more, you can join the Connected Classrooms community. And if you have a destination to offer and you want to be considered as a tour guide, you can fill out this form. Speaking of getting out into the world, each year the pronghorn population of Wyoming migrates 150 km between their summer and winter homes. Along this route the pronghorns face their greatest foe: traffic on U.S. Highway 191, which they must cross. To aid the pronghorn migration, last year the Wyoming Department of Transportation built a system of fences, overpasses, and underpasses for safe crossing. At first the pronghorns weren’t sure what to make of the crossings, but after several hours they began to cross. This time, in the second year of the crossings, the pronghorns knew just what to do and crossed without hesitation. The animals (including the human ones) seem to have adapted nicely. Finally, take some time this weekend to check out Helpouts by Google, a new way to get help on all sorts of issues via Google+ Hangouts. There are Helpouts for cooking, fitness and nutrition, home and garden, and a bunch of other topics. You can get help solving a problem, or learn a new skill. Maybe you can even offer other developers some coding help in the Computers and Electronics category. Kids gotta field trip, pronghorns gotta migrate, Fridaygram gotta publish. Each week we take a break from our usual developer fare to bring you fun and nerdy stuff to kick off your weekend. Thanks for being here, and please be careful crossing the highway. Before optimization, first render doesn’t occur until the CSS has arrived (vertical gray bar at 2.3s), and images (purple) don’t finish downloading until substantially later. The large above the fold image dominates above the fold rendering time (vertical blue bar at 3.4s). During optimization, the prioritize_critical_css filter inlines the CSS required to render the page directly into the HTML. The inline_preview_images filter creates a low-quality version of the large above the fold image and inlines that in the page. The core image optimization filter also inlines some of the smaller above the fold images. The above the fold content is fully rendered after only 2.0s (vertical orange line). We hope you’ll try out the latest optimizations and let us know how they work for you. Meanwhile we’ll continue our quest for better optimizations and faster page performance. If you’re interested in joining the conversation, check out https://code.google.com/p/modpagespeed/ and subscribe to our discussion list, mod-pagespeed-discuss@googlegroups.com. Jan-Willem Maessen is a Software Engineer on the PageSpeed team, and helped build many of the optimizations including the ones you see here. He's been known to hit otherwise reasonable consenting software engineers about the head with a steel longsword.